Saltburn Learning Campus had the opportunity to celebrate the rare event of the solar eclipse today; some were able to watch a live feed as it happened, with all of Saltburn Primary School participating. 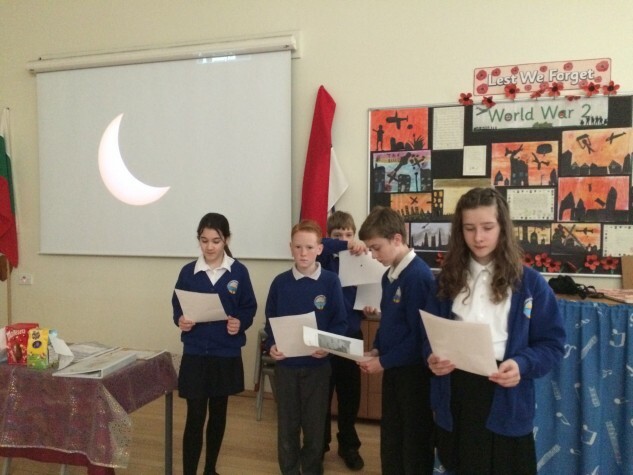 Unfortunately due to cloud the planned use of pinhole cameras had to be abandoned but in Saltburn Primary School, Key Stage 2 were treated to facts about the eclipse in an assembly, including how often it happened and most importantly how to safely see an eclipse. Picture: Saltburn Primary pupils in their assembly.